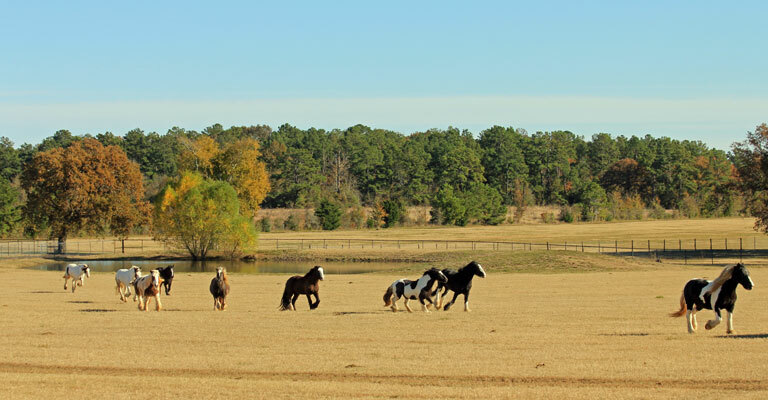 Visit with over 60 of the countries Champion and Well Known Gypsy Cob Horses. 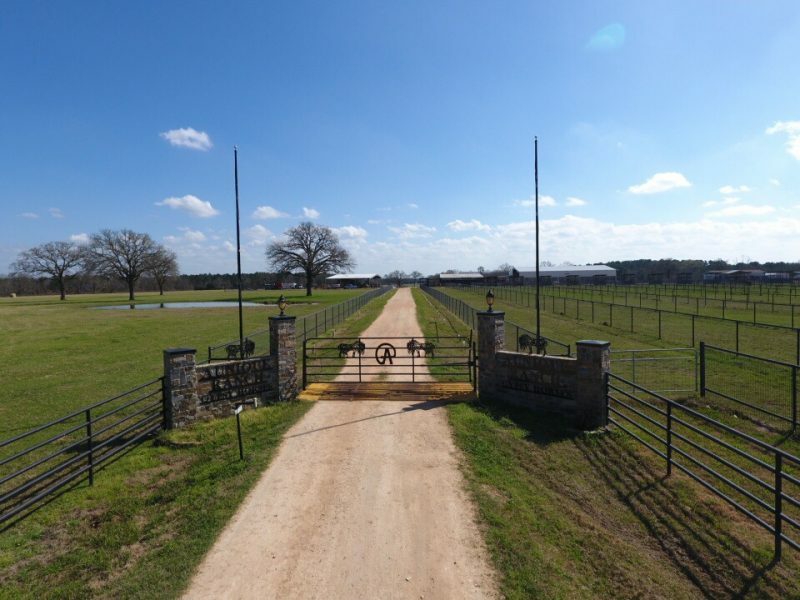 Aunique Ranch offers tours throughout the week and weekends. 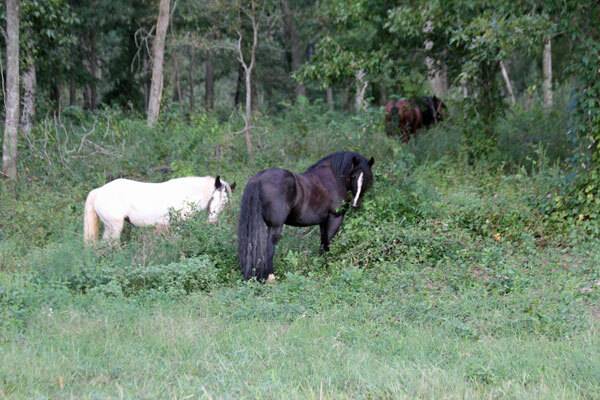 Spend two hours on a real working ranch for a real gypsy cob horse adventure. Due to the hands on approach of our tours are available by Appointment Only. 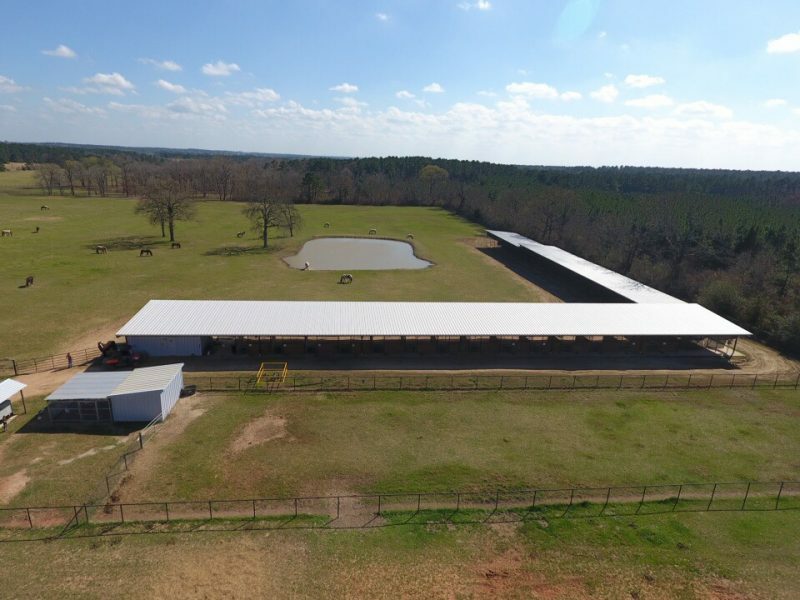 Located at 1954 FM 1375 Rd E, Huntsville, TX 77340. 713-203-0683. 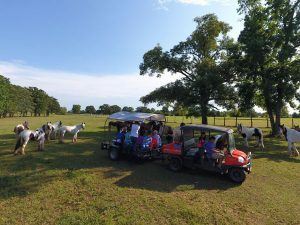 8:00 AM or 10:00 AM Tour – Ride along in the Kubota and tour over 100 of the over 600 acres of beautiful Aunique Ranch home of the Gypsy Cob Horses. 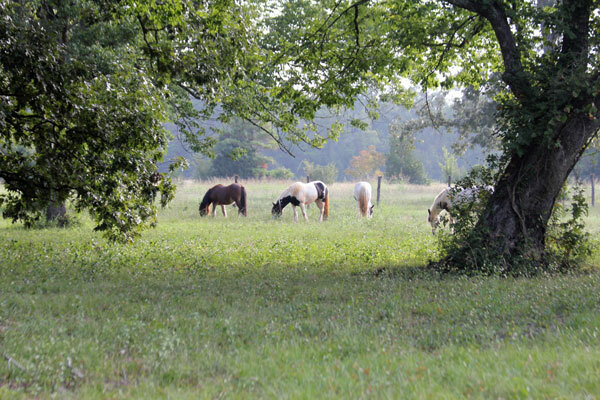 Take photos of the horses are in their natural setting. Some of the most beautiful pictures come from our guest. If you are an early bird or a photographer the 8:00 AM tour is for you. 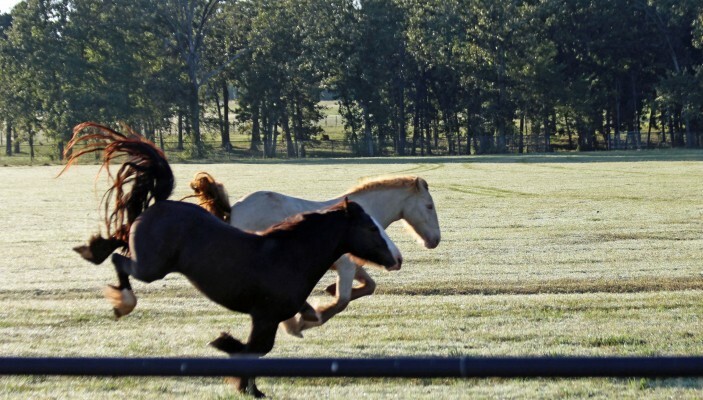 Happy Horses playing and grazing as the day begins. If you love photography or just watching a beautiful moment in time, 8:00 AM is a great time to come. Rather come later? Then the 10:00 AM tour is for you. 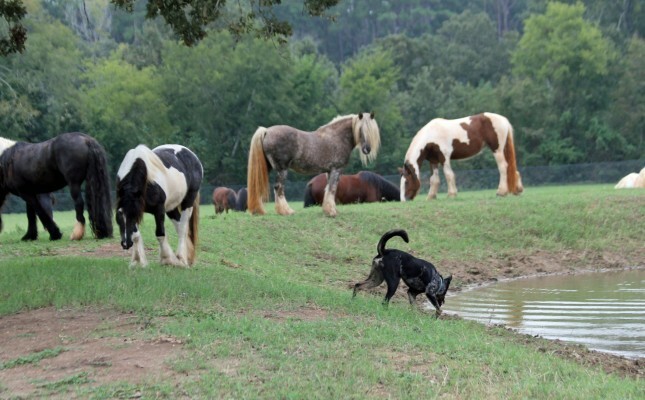 Tranquil scenes of Gypsy Cobs grazing in the fields, swimming in the pond or rolling in the fields, while stallions graze in an all star line up. 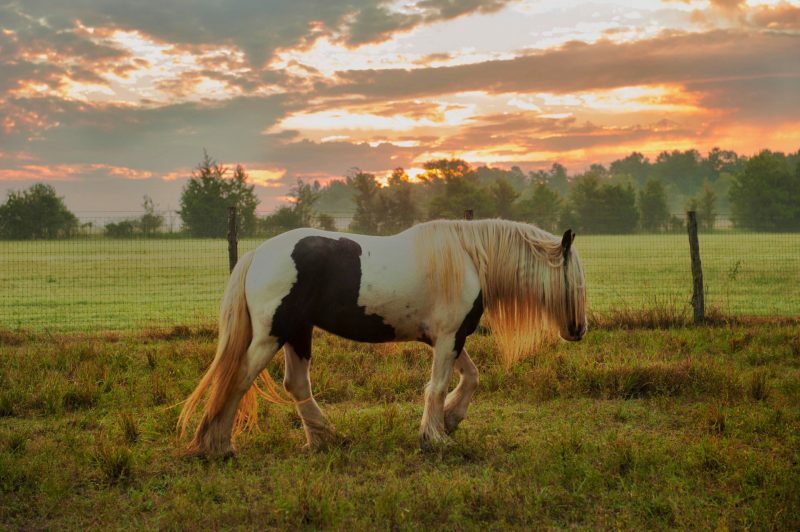 You will enjoy learning about the beautiful breed of Gypsy Cob horse, their history and meeting them in person as you are taken into their fields and introduced to them. Their occasional antics are always fun to watch. The tour is 2 hours. Dress is casual country. Tours are on a reservation basis only so reserve your spot early. Tickets are $30 per adult. Seniors (62 and over) and Children 10 and over are $20. 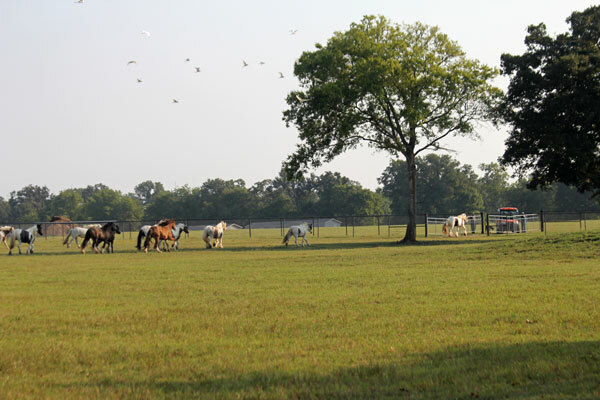 Private Tours – Private tours are available throughout the week and weekends. Private tour means that only your guest will be joining you for the tour and times are available between the hours of 7am and 4pm. Private tours are available for $120 for 2 people, each additional person after 2 is $35 per person. Private tours are on a reservation basis. Dress is casual country. Group Tours – Groups tours of 10 to 40 are available by special request. 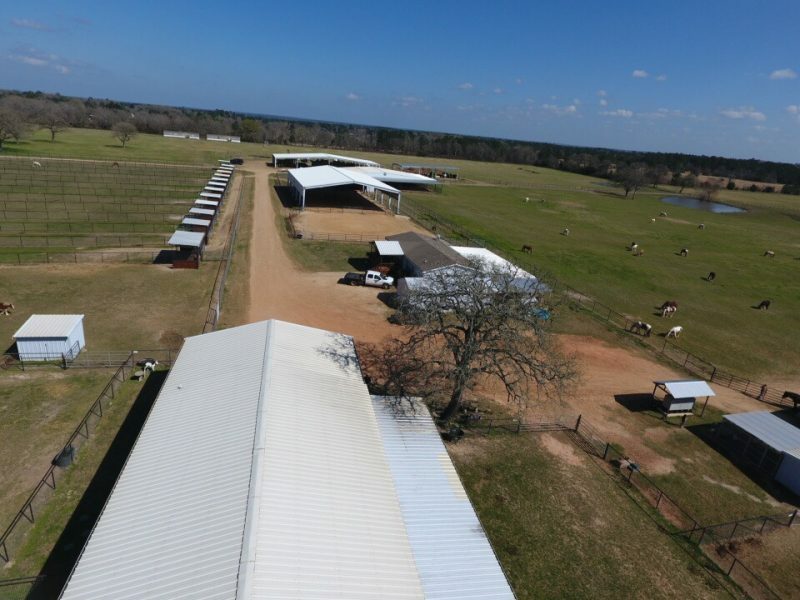 Please contact us at 713-203-0683 to set up a group tour. Turkeys Don’t forget to say hi to the Turkeys they love to be petted. Name * What is the name of the person responsible for booking? First Names of people joining you? What Date were you wanting to attend the tour? * Please enter the date you wish to attend the tour or book an overnight stay. We will be closed for tours September 13th through September 18th.